Julie and Alan also didn’t know if they were having a boy or a girl - such a fun surprise! And I just LOVE how involved big sister was during Julie’s labor and birth. 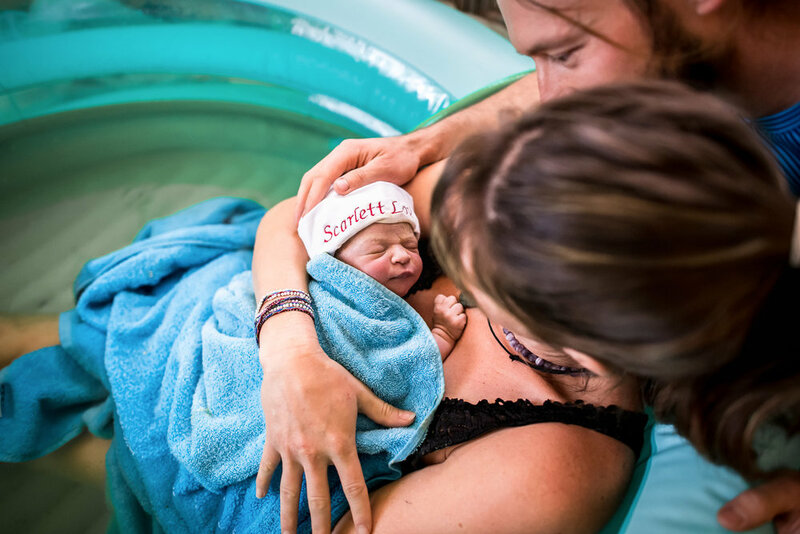 She snuggled and loved on her mama…and found the hose to fill the tub to be too much fun. Julie’s birth reminds me that children aren’t born afraid of birth - this is something that is very much conditioned. 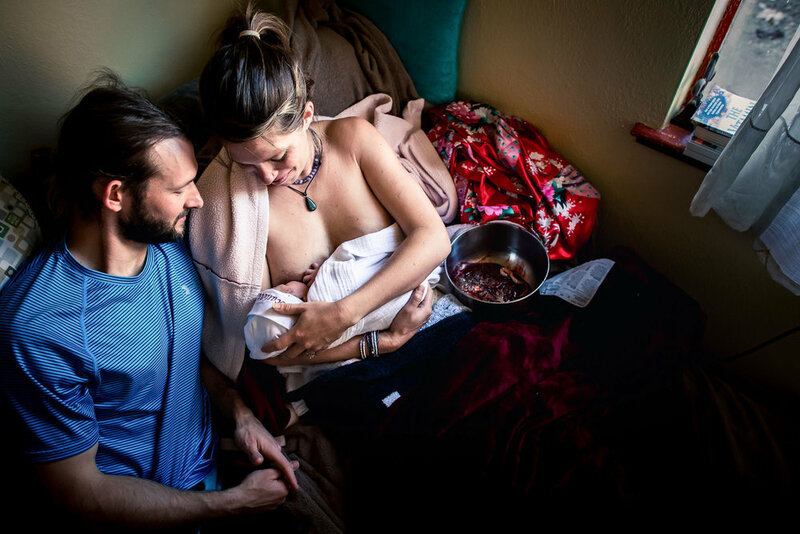 I almost always find that if the adults in the room are calm and peaceful…children respond beautifully to the birth process. We have to remember that it wasn’t too long ago that they made the journey earthside themselves.